He played like an angel and smoked like a chimney. Now Johann Cruyff, one of the greatest footballers of all time, has passed away at the age of sixty-eight. He was born in 1947, with Holland still deep in the shadow of the Second World War, but he was central to the Golden Age of Dutch footballer in the second half of the century. 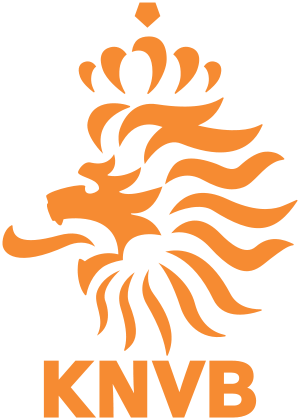 Holland were runners-up in the World Cup in 1974 and won the European Championship in 1976, producing players whose skill and intelligence would have been remarkable in a much larger country with a much larger pool of footballing talent to draw on. Holland is still producing footballing greats, but Cruyff may be the King. His first club was Ajax of Amsterdam, whose stadium was a few minutes’ walk from his boyhood home. His football-mad father died when he was only twelve and Cruyff, already part of the Ajax youth team, decided that a successful career as a player would be a fitting tribute to him. When he entered the first team, his skill on the ball and tactical awareness off it helped power Ajax to a remarkable run of three European Cups in three seasons, from 1970-1 to 1972-3. He then left Dutch football for the Catalan giants Barcelona, who played a world record fee of $2million to bring him to their huge Nou Camp stadium. Playing there, he became a favourite of one of the most knowledgeable and demanding crowds in the world. He finished his club career back in Holland, playing for Feyenoord. By then, he had made a new footballing term famous right around the world: Total Football. It was a philosophy of play developed by the Ajax manager Rinus Michels and performed for the world by Cruyff. The central idea of “totallvoetbal”, as it was known in Dutch, was that any outfield player should be comfortable in any role, as though all members of orchestra could play any instrument when required. Total football was demanding to play and exhilarating to watch: the players of team had no fixed formation or rigid positioning, but swirled over the pitch in constantly shifting patterns, interchanging passes and interweaving runs to outwit, outmanoeuvre and eventually overwhelm their opponents. Cruyff was the King of Total Football, equipped with the lightning-fast brain and supple physique that were required to bring Michels’ ideas to life on the pitch. His performances for the Dutch national side brought the new style of play to dazzling life for an audience of many millions, and when he finally retired as a player he was ready to create total teams of his own. In football, some great players become mediocre managers, and some great managers were mediocre players. It’s a few rare who are great in both roles. Cruyff is one of them: as a manager, he amassed as much silverware as he had won as a player. Of those four men, only Cruyff was able to translate greatness on the field into greatness off it. As player and as manager he was central to the development of the world’s most popular sport, helping to ensure that football got faster, more skilful and ever more exciting as the decades passed. Now he is gone and hundreds of his former team-mates and opponents will join millions of football fans in saluting the memory of a true giant of the game.